OROPOUCHE East MP Dr Roodal Moonilal has alleged a case of bid-rigging in the upgrade of the country's $100M CCTV camera security-system, speaking today in the Lower House debate on a bill to vary the Budget. He said the whole contract should be cancelled and said that if Minister of National Security Stuart Young is now in England he could take the opportunity to personally investigate. Saying he was already before the House Privileges Committee, Moonilal quipped that because of that, he would not cast any aspersions on any MP. However, he said an offence of bid-rigging is committed if any bidders are communicated with before all bids are open, and that to re-issue a bid is fraud. 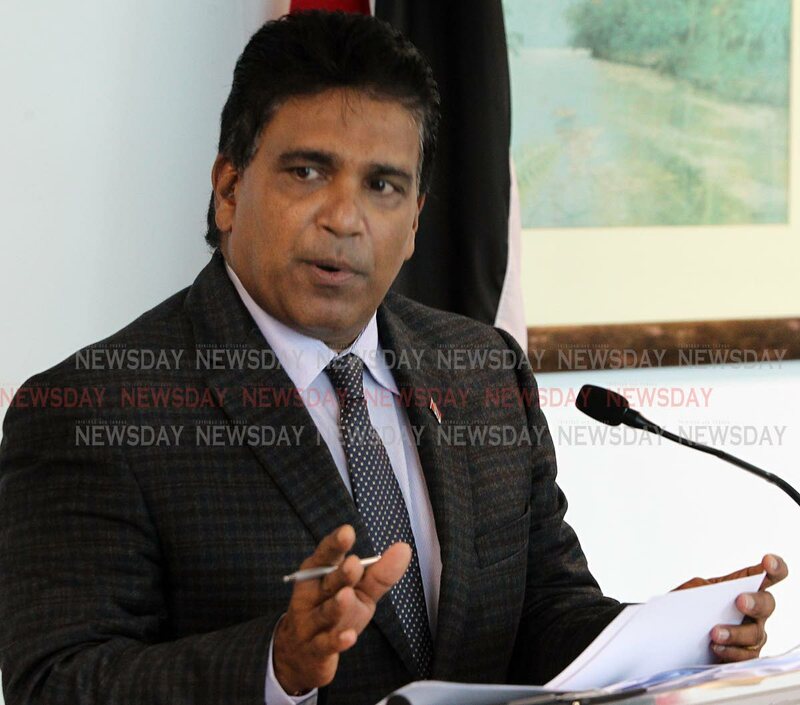 To trace the turn of events, Moonilal quoted Minister of National Security Stuart Young who last Monday told the House Standing Finance Committee the Government had met a very costly contract for CCTV that they had then put onto a month by month contract. Moonilal said Young had tried to make it sound like corruption by the past government. He related the former government had paid monthly fees for a CCTV system run by TSTT using Israeli cameras. The RFP process to expand the CCTV system was due to close on September 7, 2018 at 1.30 pm, but that at one time no tender register was available to accept bids. He said on September 7, 2018 at 1.45 pm, bidders were told by email from the SSA of an extension to bid to September 21. “It is to be noted this email was sent 18 minutes after the closing time of the tender,” Moonilal said. “At 2.04 pm and 2.33 pm respectively Cable and Wireless and Digicel registered their concerns via email to the SSA Procurement Department. “Digicel noted that the technical submissions of Digicel and other bidders who had submitted way in advance of the deadline had been opened. Had been opened!”. At 2.32 pm the SSA Procurement Department sent an email to Digicel saying the procurement process had been handled by the Ministry of National Security, but which had not been told of the extension in a timely manner, so regrettably meaning the extension must be withdrawn. He related that next, all bidders then got a phone-call from one Mr Lezama of the Ministry saying the extension stands. At 3.01 pm, bidders got an email from one Miss Edwards of the SSA endorsing the bid extension, followed by an SSA email of the same sentiments on Monday, said Moonilal. He alleged this all amounted to bid-rigging. Reply to "Moonilal: Bobol in $100M CCTV system"